"Some people are diagnosed with high-functioning autism (HFA) while others are diagnosed with Asperger syndrome (AS). Here, we explain the difference between the two terms." High-functioning autism and Asperger syndrome are both part of the 'autism spectrum'. The main difference between the two is thought to be in language development: people with Asperger syndrome, typically, will not have had delayed language development when younger. Our Autism Helpline is often asked what the difference is between high-functioning autism and Asperger syndrome. Sometimes it can seem like the two diagnoses are given on an almost interchangeable basis. The controversy over the differences between these two diagnoses goes back a long way: here we examine some of the literature available and the reasoning behind the existence of the two separate terms. The term 'autism' has an unusual history. It was originally coined by a psychiatrist Eugen Bleuler in 1911 to describe what he perceived as one of the key symptoms of schizophrenia, that of social withdrawal. Autism, literally meaning 'selfism', seemed to him to describe the active detachment which affected many of his patients. 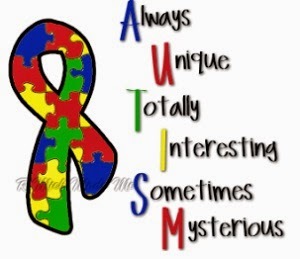 In the 1940s when Leo Kanner in America and Hans Asperger in Austria were both beginning to identify the existence of autism they separately stumbled on this term which they felt described what they were witnessing in the children they were treating. Kanner started from the premise that these children were experiencing childhood schizophrenia. In time he became aware that they were not exhibiting all the symptoms of schizophrenia and used the phrase 'infantile autism' to describe their condition. Asperger identified a personality disorder affecting some of the children referred to his child psychiatry clinic which he felt was described, albeit imperfectly, by the term autism. His acute identification of autism was extraordinarily ahead of its time considering he was among the first people to chart it. Unlike schizophrenic patients, children with autism do not show a disintegration of personality. They are not psychotic; instead they show a greater or lesser degree of autism. Kanner, an American, was writing in English. His paper was published in the UK where it gained a lot of attention. The term 'infantile autism' became increasingly widely used in the 1950s and 60s, more and more children were diagnosed with the condition. In the English-speaking world the work of Hans Asperger went largely ignored. However, in Europe he continued to conduct research and have an influence over child psychiatry. We don't know if Kanner was ever aware of the work of Asperger but we do know that Asperger in later years read about the work of Leo Kanner. He argued, albeit unconvincingly, that they had identified separate syndromes with a great overlap. Other academics began to argue that Asperger's and Kanner's autism were the same syndrome. Most notably Judith Gould and Lorna Wing in their ground-breaking study in Camberwell in the late 1970s came to the conclusion that autism existed on a continuum. In 1981, Lorna Wing used the phrase 'Asperger syndrome' in a research paper to describe a distinct sub-group of patients that she had been seeing. The term became much more widely used in the English-speaking world as a result. Some professionals have felt that Asperger syndrome is a more acceptable diagnosis from the point of view of parents. They argue that there is a social stigma attached to autism which is not attached to the term Asperger syndrome. Gillberg and Ehlers (1998) identify four main areas where controversy over the difference in diagnosis still exists. The view that Asperger syndrome is autism without any additional learning disability is helpful from the diagnostic point of view as it is fairly easy to make a distinction in these circumstances. However, Asperger himself said that there might be unusual circumstances where a person could present the symptoms of Asperger syndrome with additional learning disability. It is widely recognised that high-functioning autism cannot occur in someone with an IQ below 65-70. In recent years the view that Asperger syndrome can only occur when there are additional difficulties with motor skills has become more prominent. Certainly Asperger himself was well aware of the prevalence of motor skill problems in the group of people he tried to describe. It seems likely that most children with Asperger syndrome experience poor co-ordination and difficulties with fine motor control. However, many children with higher functioning autism will also have difficulties in these areas. This is the area that probably causes the greatest controversy. Both ICD-10 and DSM-IV1 state that for a diagnosis of Asperger syndrome, spoken language development must be normal. Children with high-functioning autism may have had significant language delay. However, Asperger's original descriptions of the condition stated that speech and language peculiarities are a key feature of Asperger syndrome. Often diagnoses of Asperger syndrome are made when a child is quite old and they or their parents may have difficulty remembering the details of their language development. A diagnosis of high-functioning autism and one of Asperger syndrome can be made in the same individual at different stages of development. Occasionally a child has been diagnosed with high-functioning autism in early childhood and this diagnosis has been changed to Asperger syndrome when they started school. Some diagnosticians are clearly of the view that Asperger syndrome cannot be diagnosed before a child starts school. However this is largely because areas such as social skills deficits may not become apparent until a child spends a lot of time in social settings. Both people with high-functioning autism and Asperger syndrome are affected by the 'triad of impairments' common to all people with autism. If you or your son or daughter has recently been given a diagnosis of either high-functioning autism or Asperger syndrome then it is worth checking what criteria the diagnostician was using. 1 Response to "DIFFERENCE BETWEEN HIGH FUNCTIONING AUTISM AND ASPERGER SYNDROME"
People with famous Asperger's syndrome learn to speak at a young age like average people and eventually attending school in the same classes and at the same age of their peers. But they may have trouble understanding social or communication skills.